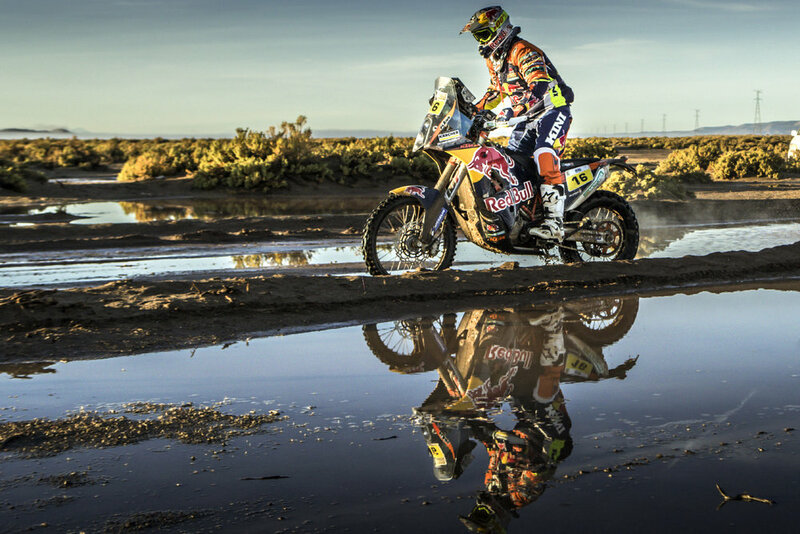 Red Bull KTM factory riders continued to hold up well in the storm-battered Dakar Rally 2017 with overall leader Sam Sunderland adding several minutes onto his advantage after Tuesday’s Stage 8. Spain’s Joan Barreda was the stage winner with KTM teammates Matthias Walkner and Sunderland a close 2-3 behind him. 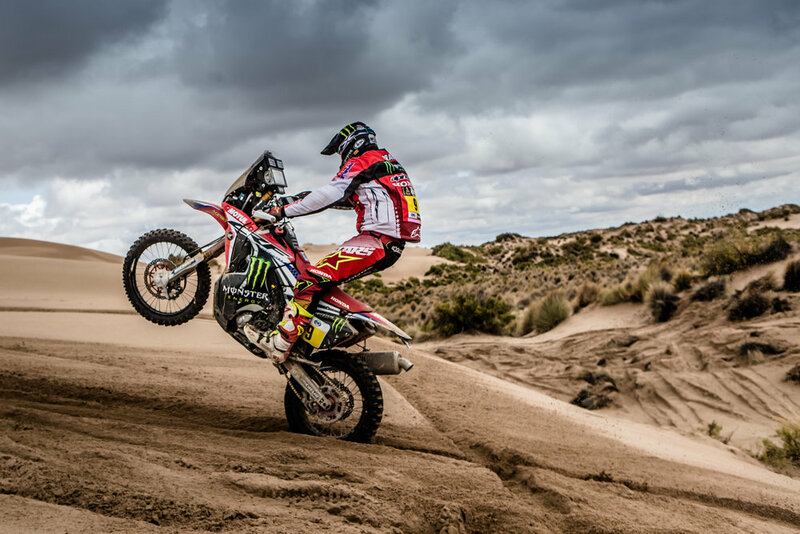 Rockstar Energy Husqvarna factory riders Pablo Quintanilla and Pela Renet delivered another strong performance in Tuesday’s challenging Dakar Rally stage eight to remain second and seventh in the general standings when they reached Salta in Argentina. The rally is now traveling east towards Saturday’s finish in Buenos Aires. The two riders finished 7-8 in what was another difficult and rain-plagued stage, with Quintanilla just seven minutes off the leading time of stage winner Joan Barreda of Spain. 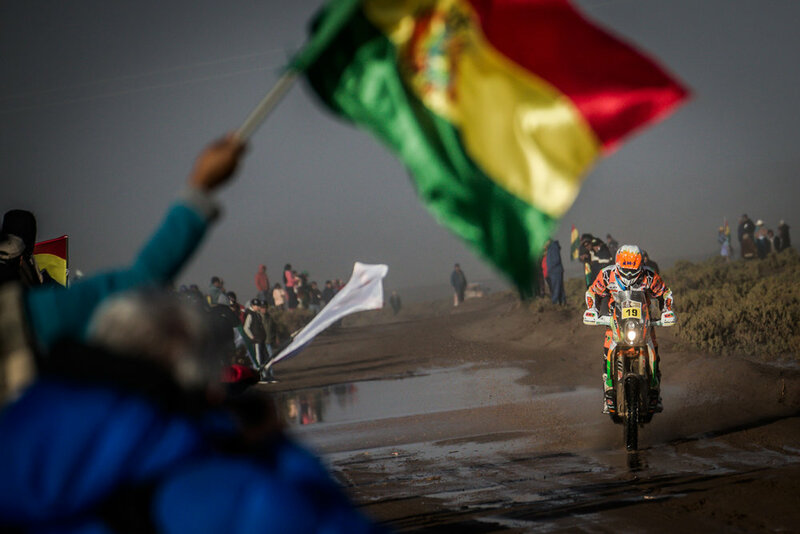 Renet finished two and a half minutes behind his Chilean teammate as the competition left the high altitudes of Bolivia on the way from Uyuni to Salta. 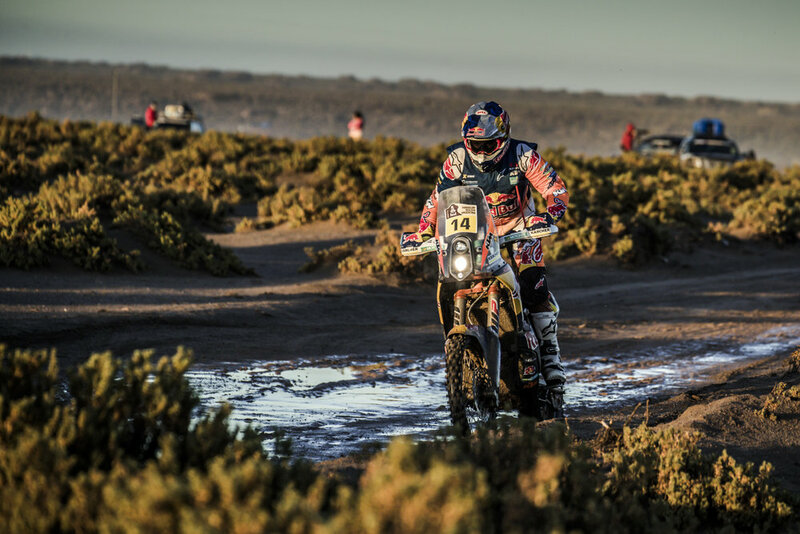 It was to be an eventful day for riders and the entire Dakar caravan. 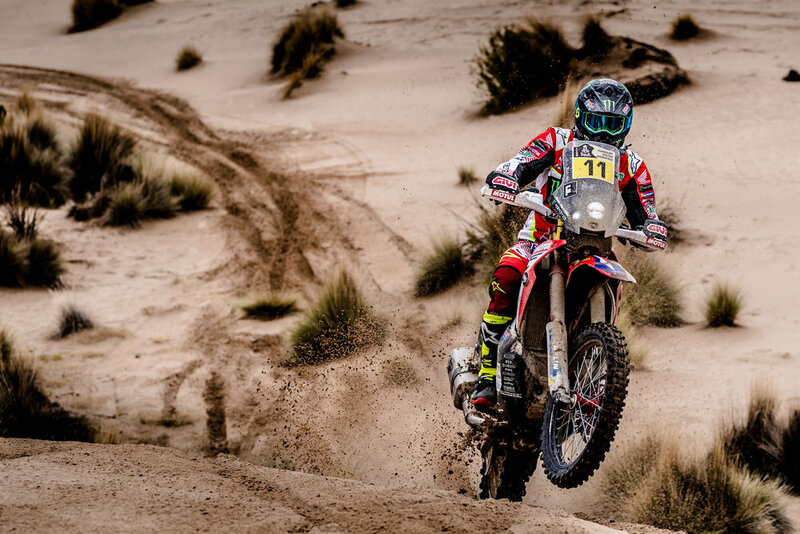 Riders on Tuesday crossed the border from Bolivia to Argentina on their way from Uyuni to Salta as the rally turns east towards Saturday’s finish in Buenos Aires. 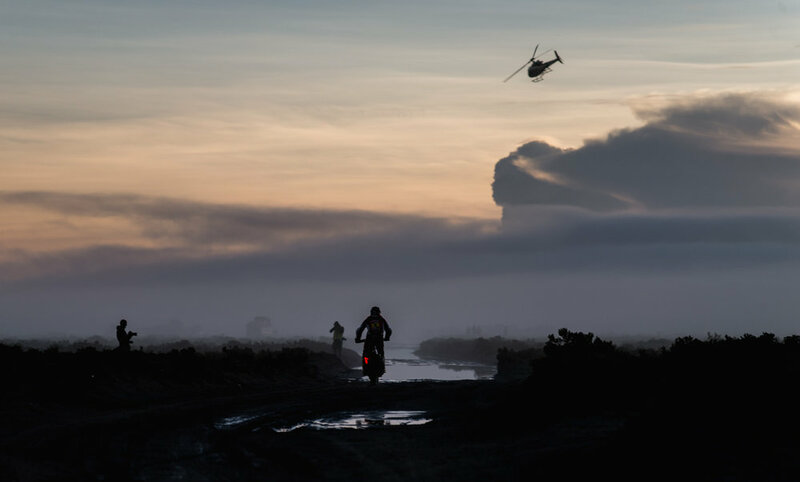 The ninth stage, has been cancelled due to the poor meteorological conditions that affected all the Dakar logistics.